The world´s leading trade dair for architecture, materials and systems. BAU has been an absolute sector highlight ever since its launch in 1964. It is the perfect business, contact and information platform for all professionals involved in the planning, design, construction and management of buildings. 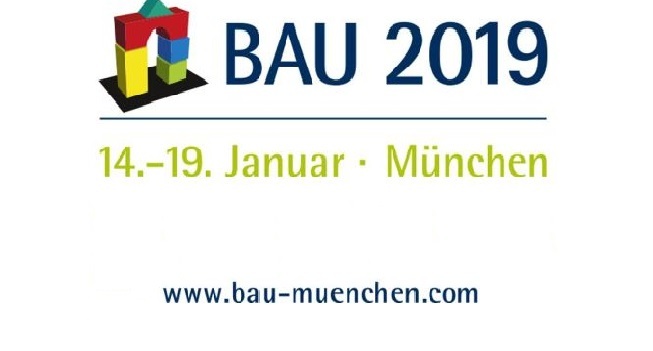 The BAU 2019 edition will be held from 14 to 19 January at Messe Munchen, Germany. Why exhibit at BAU 2019 Munchen? Trade visitors from all over the world gather here to experience the future of building. Attracting over 2,100 exhibitors from 45 countries, the 2017 edition of BAU was again a real succes. The next edition of BAU will be even bigger. In 2019 an amazing 200,000+ square meters of exhibition space in 19 halls is being dedicated to this superlative showcase for the whole sector.